Transitioning back to everyday life can be challenging for the men and women of the U.S. Armed Forces, but for those pursuing their higher education at Polk State, the Veterans Services Office helps bridge the gap between military and civilian life. More than 320 veterans are enrolled at Polk State for fall 2017 – 266 who are utilizing benefits from the U.S. Department of Veterans Affairs. That means one in every 47 students at Polk State is a former military member. The Veterans Services offices on the Winter Haven and Lakeland campuses assist veterans in transitioning to college life and achieving academic success by connecting them to degree programs that will utilize their skills, helping them with the necessary paperwork to receive benefits, and ensuring they are enrolling in the appropriate courses to remain eligible for benefits. Coordinator of Veterans Services Byron Loyd explains that veterans often struggle with marketing their skill sets to civilians and employers, adding that putting down his 27 years of military experience on paper was difficult. 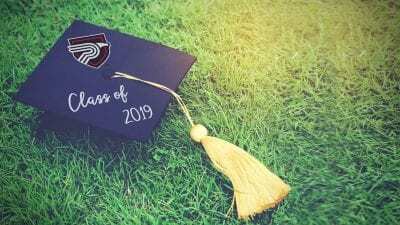 Polk State sees the majority of veterans pursuing Supply Chain Management, Nursing, Engineering Technology, Law Enforcement, Aerospace, Cardiovascular Technology, and Health Care Administration, building on their experiences and skill sets from the military. 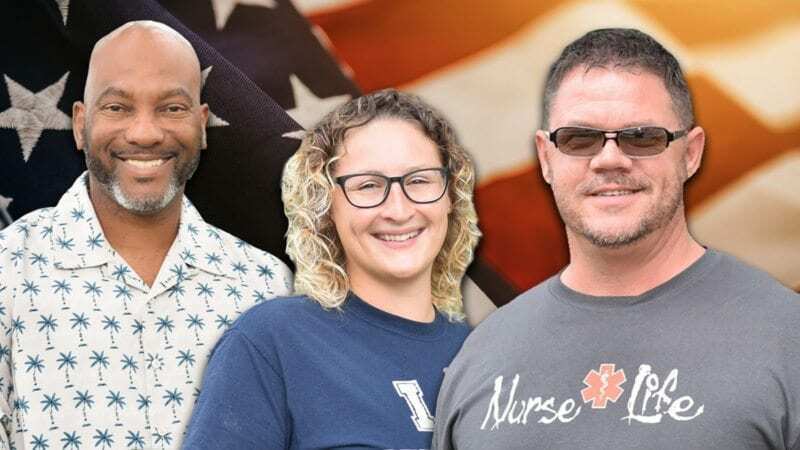 Polk State News recently met with three veterans working toward degrees at the College to hear their stories. Laricky McKennon recently returned to school after 32 years. During his service, he worked in military intelligence and as a water specialist. He served in the 2nd Infantry Division in South Korea, the 1st Cavalry Division in Fort Hood, Texas, and the 523rd Special Operations Support Battalion in Fort Bragg, North Carolina, before he was honorably discharged in 1999 due to physical disabilities he sustained in training. 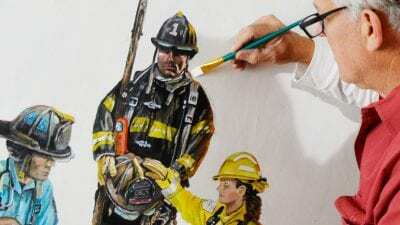 He married, had three daughters, and returned to the Fort Bragg base in 2001 to work for a contractor issuing equipment to soldiers for four years. Then he divorced, left his job, and moved back to Florida for a fresh start. In 2005, McKennon applied for Vocational Rehabilitation and Employment services – a government program that provides services for disabled veterans and service members to help with job training and employment. Through the program, veterans may receive an allowance while they pursue their education in preparation for a future career. So he began working full time at a manufacturing company in Lakeland, where he ultimately became a production manager. Then, the manufacturing company downsized and McKennon was out of a job. McKennon was approved for Vocational Rehabilitation and plans to graduate in fall 2018 with his Associate in Science in Supply Chain Management, which correlates with his previous work in manufacturing. 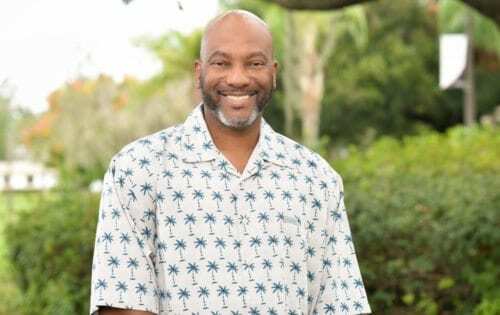 He chose to pursue his education at Polk State because of the location and reliable transportation, as well as the assistance he receives through the Veterans Services Office. Colleen Cushing isn’t your typical veteran student in that she has never enlisted in the military. She’s classified as a veteran eligible for benefits because of her husband’s service in the U.S. Coast Guard. Veterans’ spouses and dependents are often eligible for benefits through different Veterans Affairs programs. Cushing, a military brat whose father served in the U.S. Marine Corps for 30 years, is the first generation in her family not to go into the armed forces. “I want to work with veterans and serve in my own way,” said Cushing, who is working on an Associate in Science in Nursing. She feels called to work with veterans in an intensive care unit. She plans to graduate in May. Cushing also qualifies for in-state tuition, although she is not a Florida resident. The Veterans Services Office assists students in receiving waivers and other benefits. For Edward Hedicke, Polk State was an opportunity to not only start over after 20 years working in construction – it was also the chance to do so close to his two daughters, who live in St. Cloud. Hedicke was a military brat who dropped out of high school in El Paso, Texas. His father was in the U.S. Army. At 19, Hedicke signed up for the U.S. Navy during Operation Desert Storm. He received emergency medical training as well as basic nursing care then worked at National Naval Medical Center in Bethesda, Maryland, providing primary care and treating non-surgical diseases, including complicated and severe diseases in critical patients. He was honorably discharged after one tour and, due to a slew of family tragedies, Hedicke took a break from the medical field and went into construction. 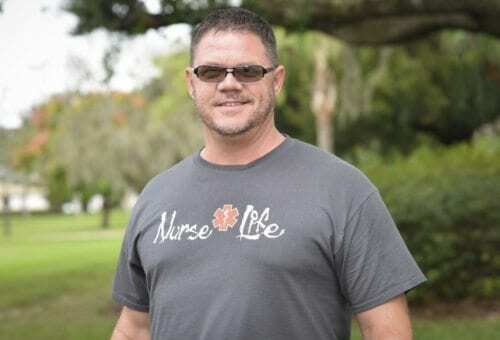 In 2011, Hedicke decided to get back into the medical field and enrolled at Daytona State College, but he wanted to be closer to his daughters. 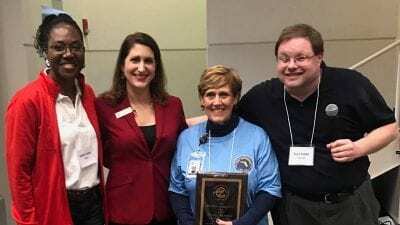 Polk State’s Associate in Science in Nursing graduates have a 95.74 percent pass rate for the National Council Licensing Examination for Registered Nurses (NCLEX-RN) – well over the average NCLEX-RN pass rates for state university graduates, and exceeds the average state and national pass rates as well. Hedicke is nine credits away from earning his Associate in Arts and has started prerequisites for an Associates of Science in Nursing. He plans to pursue a Bachelor of Science in Nursing at Polk State. Because of his background in medicine and the Navy, Hedicke aspires to practice hyperbaric medicine, which is a specialized area of diving medicine that deals with therapeutic recompression for decompression illnesses. Polk State is also holding Veterans Day events this week. The events will take place Tuesday, Nov. 7, at the Lakeland campus in LAC 1133 from 11:30 a.m. to 12:30 p.m. and Thursday, Nov. 9, at the Winter Haven Campus in WST 126/127 from 11:30 a.m. to 12:30 p.m. and include presentations from the Polk County History Center, member of the 55th Parachute Infantry Battalion JJ Corbett at the Lakeland campus, and retired Col. Dr. Anthony Rizzo at the Winter Haven campus.